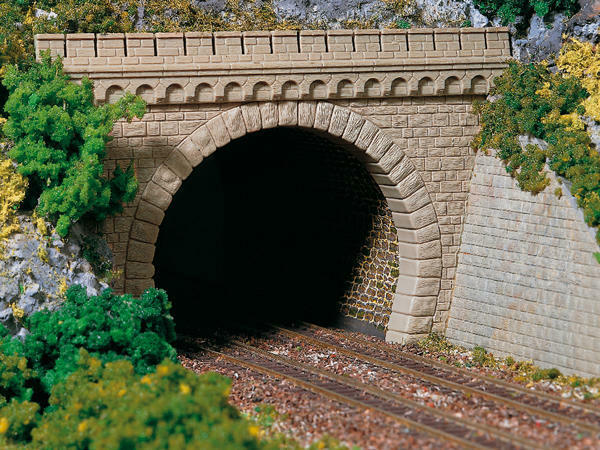 2 Double track tunnel portals with mural crown and 4 wing walls, mottled. Not suitable for overhead line operation. Suitable for straight track guidance in the passage area. For suitability for track systems, see notes.